If there’s an herb in my pantry that would qualify as an MVP, it would probably be flat-leaf parsley. I go through at least 1-2 bunches a week. 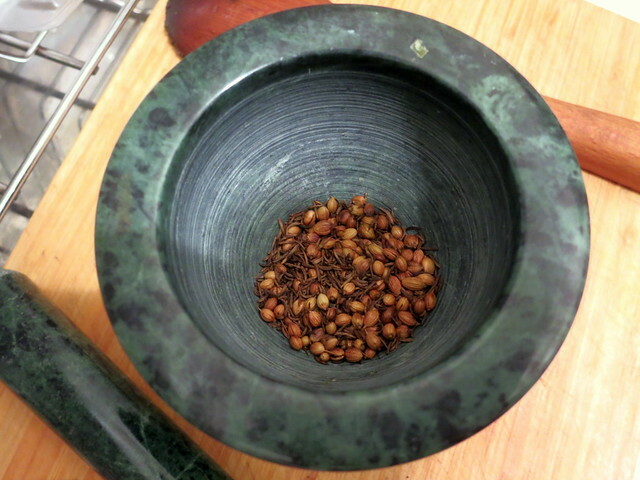 I use it in just about everything I make — as part of a battuto, as a garnish, and lately in, chermoula. 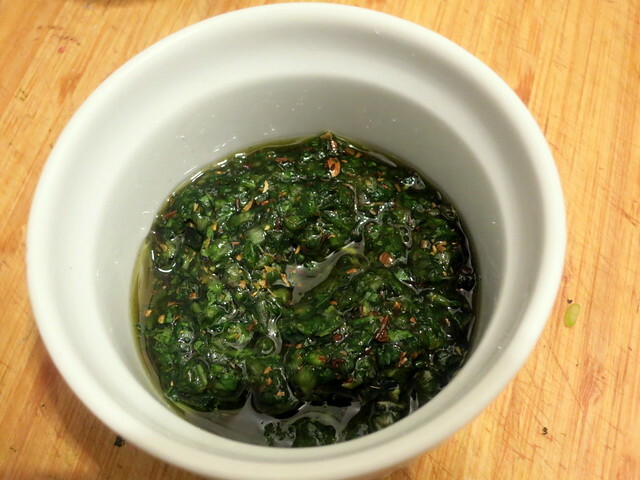 Chermoula is a condiment of North African origin, and is made with a variety of green herbs, cumin and olive oil. Most people favor it as a marinade, but I like it as a substitute for salsa or ketchup, which means it goes on just about anything you can think of. Use as a garnish with pasta, soup or steamed vegetables, in roast beef sandwiches, stirred in scrambled eggs or atop slices of toasted bread as a base for crostini. Those are just a small handful of ideas. I’m sure you can think of more. Adapted from One Good Dish by David Tanis. Each time I make chermoula, I almost always vary the ingredients a little bit. Some other ideas include but are not limited to: preserved citrus, saffron, serrano peppers, ground peppercorns and lemon juice. 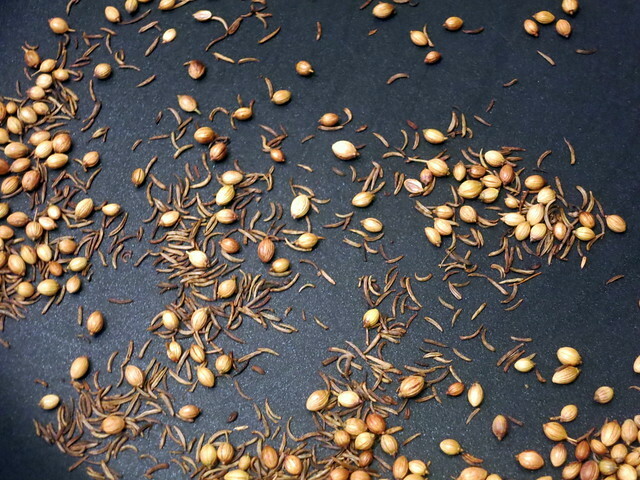 Toast the coriander seeds and cumin seeds in dry skillet over medium heat until the seeds are fragrant, about 1-2 minutes. 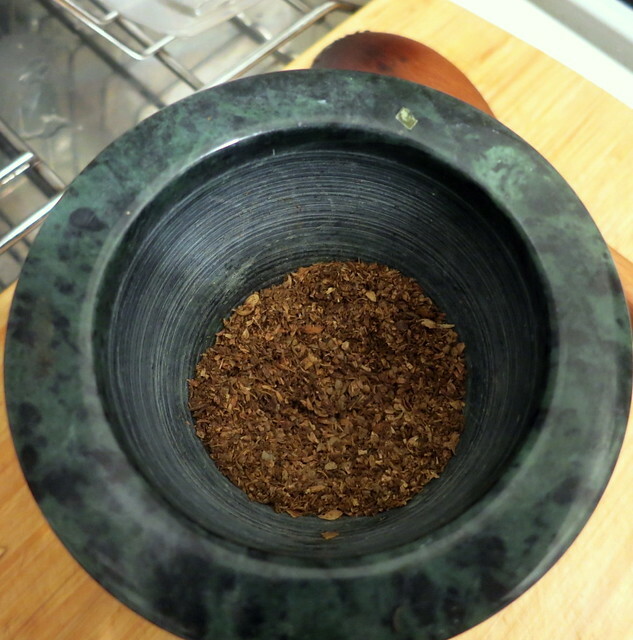 Transfer the seeds to a pestle or spice grinder. Pound or grind the seeds until you obtain a coarsely-textured powder. Transfer the powder to a small bowl and set aside. 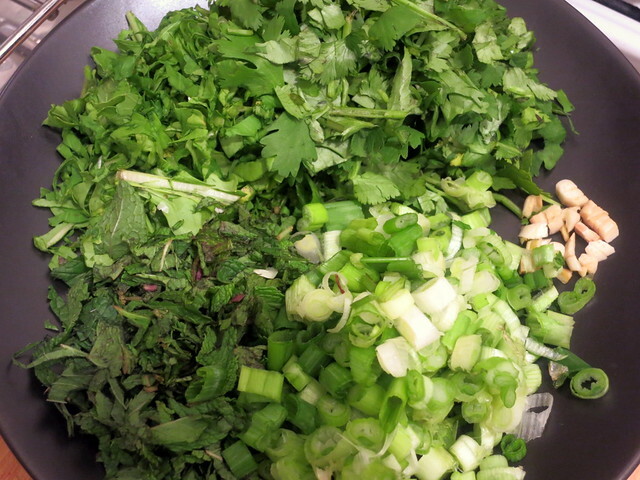 Combine garlic, parsley, cilantro, scallions, mint, arugula, sea salt and chipotle pepper in a food processor or blender. Pulse until you have a rough purée. Transfer the herb purée to a bowl. Stir in olive oil and the coriander powder. Mix well, then use as needed. This is best the day it’s made. Its potency will diminish over time; keeps for a week in the refrigerator. 27 Apr	This entry was published on April 27, 2014 at 9:26 pm. It’s filed under cooking, food, food photography, Gluten-Free, photography, recipe, spring, vegan and tagged cilantro, condiment, gluten-free, herbs, mint, North African cuisine, parsley, recipe, spring, vegan. Bookmark the permalink. Follow any comments here with the RSS feed for this post.